Epic Games has released the v7.30 patch for "Fortnite Battle Royale" on January 29. The patch has brought several gameplay changes, numerous bug fixes, and a new item. It has also added a lot of new files to the game data, allowing data miners to extract them and see what's going to be added to the popular video game. 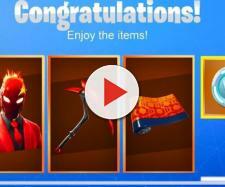 It turns out there that the game developer is preparing several new things for "Fortnite" players, including four new events! Considering that we have entered final weeks of season 7, Epic Games is going to release a season 8 buildup event very soon. According to several data miners, this event will be an earthquake, and it will be interesting to see what changes it will bring to the in-game world. Beside this event, the game developer will release a special event for the NFL Super Bowl, the Chinese New Year, and the "Festivus" event. Twitter data miner FortTory has discovered the new events in the game data. The data miner has shared this info on the popular social networks, showing the upcoming content to other "Fortnite Battle Royale" players. 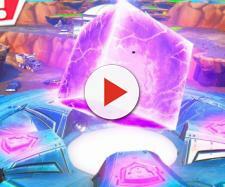 While there are four different events, the earthquake event is the most important one as it seems that it will be about the season 8 introduction. There will be 4 more events! Epic Games has done many live events in the popular game before. It all started in season 3 with meteors that were falling out of the sky. 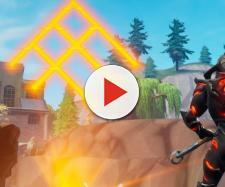 The game developer has then released the Rocket Launch event in season 4, which was arguably the biggest event in the game so far. After that, "Fortnite Battle Royale" players had a chance to experience a few more in-game events, with the most recent one being the Ice King event at Polar Peak. Soundfile regarding the Season 8 leadup EVENT! At the moment, we don't know much about the earthquake event, but there is a good chance that this event completely changes the in-game island. The island may be split into multiple parts, and if this happens, it will probably happen at the start of the eighth season. Season 7 ends in late February, which means that these buildup events will happen very soon! The Festivus event will feature popular music producer Marshmello. The event will take place at Pleasant Park on February 2, and the DJ will be performing live in the game. According to data miners, players will be dancing during this event and Marshmello will be an NPC. Additionally, there will be special challenges players will be able to compete for exclusive rewards.